December 12th is designated as Human Rights Day here in the US, but for us at HEART, every day is a day to explore and act upon ways to protect and enhance the rights of all living beings, and the complex living world that sustains us. In one of our after-school programs at a public school in the Bronx, students in the 4th and 5th grades are learning how to be Humane Heroes, who can identify and combat some of the “super villains” that threaten all of our basic rights and community needs. 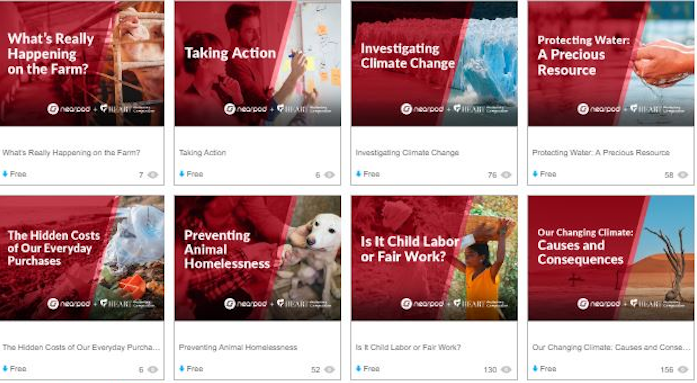 After reviewing the idea of human rights, and thinking about how the concept of rights can extend to non-human animals and even to the living habitats that we all share, the class committed to being the kind of super heroes who are willing to stand up to assaults on those rights in their community. The group identified some of the formidable super villains that are threatening people, animals and the environment, and decided to start working on one area. The super villain the kids have identified is called “Dr. Harm”, and the awful powers he possesses include using any form of violence or intimidation to get what he wants. Students brainstormed and researched many ways that Dr. Harm affects people, animals and the environment, from the suffering of animals on factory farms and wild animals in captive settings, to wars and suppression of free speech, and the various forms of bullying that are so common in our schools. They chose to use their super hero powers to fight against the ways that kids are hurt and threatened by cyberbullying and in-person ways of excluding and embarrassing others by revealing secrets or spreading gossip. They have all heard about or even experienced some of the harm that this kind of cruelty inflicts on, not just the individual target, but the whole student community that is then fractured and angry and vulnerable to other forms of aggression and discrimination. The students are in the process of deciding how they will take direct action in their school to combat this issue, and educate others about the evil deeds of Dr. Harm. 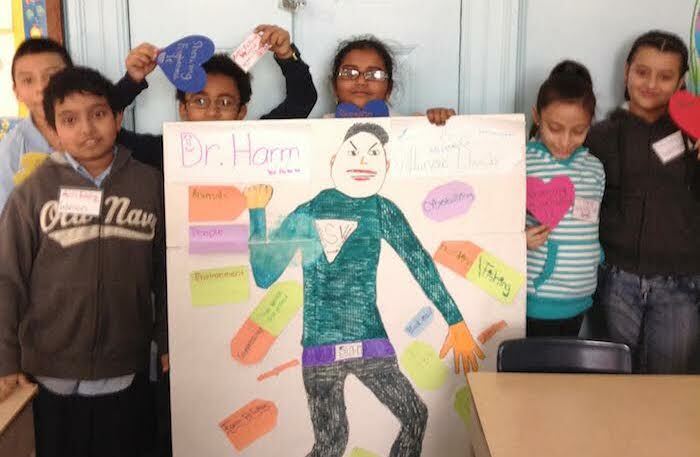 To make dealing with these kinds of very serious issues engaging to younger students, the group has created a life-size figure of Dr. Harm.They outlined one of the students and colored it in to make a costume for this villain, and then surrounded the poster with examples of the kind of harm he can inflict. Using multi-media projects in service projects is an important way to make sure that all students can meaningfully participate. 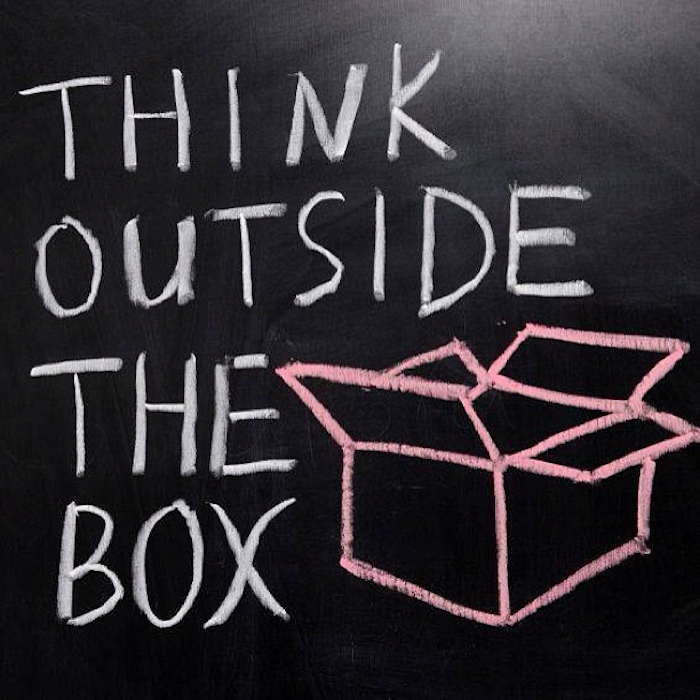 Some kids are not strong in literacy or other language skills but may be great artists or have other abilities that we need to encourage so they feel empowered in the group and can build their own brand of activism in their lives. Our HEART Heroes are learning one of the most important lessons for inspiring positive change: that working together to make their communities kinder and more just feels good and allows them to develop their special super power strengths in a supportive and caring setting.